NEW YORK CITY, NY — April 2, 2019 — Energy Real Estate Solutions (ERES), a full-service real estate firm providing brokerage, development, property management, construction management, investment and consulting services to North and South American energy markets, announced today it has expanded its service offering with the launch of new full-service investment and development platform ERES Capital. To support this new opportunistic capital division, ERES has opened its seventh office location on Park Avenue in New York, NY and hired two new team members. ERES Capital will focus on fast-growing secondary and tertiary markets both domestically and internationally where the division has meaningful market insights and on-the-ground knowledge. While ERES Capital will remain opportunistic across all asset classes, it will focus on the following core verticals: hospitality, healthcare, industrial and education. In addition, ERES Capital supports ERES’ brokerage division by offering third-party debt and equity assistance to potential investors and clients. 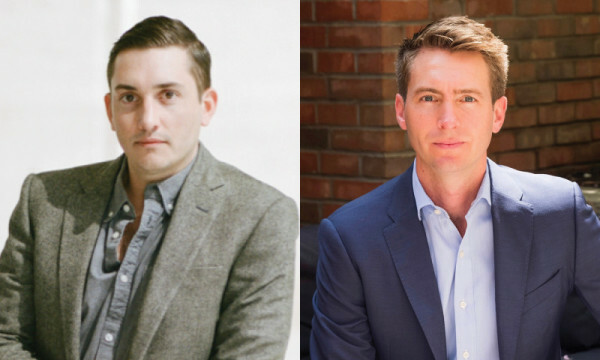 To lead and grow ERES Capital, ERES has hired two dynamic investment professionals experienced in identifying deals that garner above average, risk-adjusted returns across market cycles. Dean Schmitt serves as Managing Director and brings over 12 years’ experience across real estate, private equity, and investment advisory. Before joining ERES Capital, Schmitt was Co-Founder and Managing Partner of a New York real estate investment and development firm focused on the hospitality, healthcare and education markets. Prior to that, he was COO and Partner at Campisano Capital, a hospitality focused real estate development and construction firm located in Louisville, KY, New York, NY and London. In aggregate, Schmitt has completed over 35 transactions worth over $700 million in enterprise value. Harley Sisler serves as Vice President and is a third-generation real estate investor, contractor and entrepreneur. Before joining ERES Capital, Sisler was Co-Founder and Partner of a real estate investment and development firm focused on the hospitality, healthcare and education markets based out of New York, NY. Prior to his real estate career, he spent five years at Morgan Stanley in New York City where he managed client assets and liaised with the firm’s private and investment banks. Sisler holds a Bachelor of Science in Business from the Calloway School of Business and Accountancy at Wake Forest University. The new ERES Capital division is just one of many growth and expansion milestones ERES has experienced over the past year, having added a new Chief Operating Officer and four new office locations, including the firm’s first international office in Neuquén, Argentina. For more information on ERES Capital, visit www.EREScapital.com. Dean Schmitt can be reached at dean.schmitt@erescompanies.com or 419.265.6615, and Harley Sisler can be reached at harley.sisler@erescompanies.com or 336.413.3410. ERES Capital, the investment and development division of Energy Real Estate Solutions (ERES), is a full-service investment platform catering to both domestic and international markets. Located in New York City, the group has a strong focus on opportunistic secondary and tertiary markets and typically seeks unique, off-market opportunities across hospitality, healthcare, industrial and education verticals that can earn above average returns for investors. For more information, visit www.ERESCapital.com. Energy Real Estate Solutions (ERES) is a full-service commercial real estate firm focused on helping energy companies and investors maximize their real estate portfolios. ERES provides brokerage, investment, development, project management, property and asset management, workforce housing, and consulting services in and around the world’s most active energy sites. The firm currently operates out of seven offices located in Denver, CO (Headquarters), Fort Worth, TX, Houston, TX, Midland, TX, New York, NY, Williston, ND, and Neuquén, Argentina. For more information, visit www.energyreco.com.